Khai Ling counsels corporate clients on a wide range of mergers and acquisitions, capital markets, and cross-border corporate and commercial transactions, including reverse takeovers, initial public offerings, scheme of arrangements, rights issue, joint ventures, de-listings and corporate restructuring. She also advises fund managers on the setting up of investment funds and cross-border private equity. 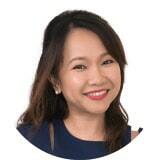 Leveraging on her qualifications to practice Singapore corporate and commercial laws as well as Malaysian laws, Khai Ling offers clients well rounded perspective on the legal landscape of Singapore and Malaysia. Prior to joining ZICO Insights Law LLC (a member of ZICO Law), Khai Ling practised in the highly regarded Corporate and M&A practice group of Morgan Lewis Stamford (a Singapore legal practice merged with an international law firm – Morgan Lewis & Bockius).